These sign holders for gridwall or square dump bins are incredibly versatile. 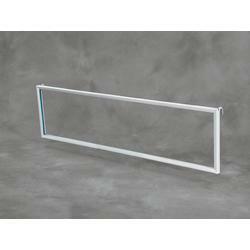 These sign holders feature metal hooks on the back making them easy to attach anywhere on a gridwall or dump bin. Bold metal frame highlights your sign, putting the spotlight on your advertisement.